We invite your family to a long lunch, Italian style, with the winemaking families of the King Valley. Our winemaking families have shared their favourite recipes for gnocchi, porchetta and tiramisu, for Woodbrook caterers to prepare a feast in the Yarralumla Woolshed. We’ll match the feast with the Italian style wines we’ve been making in the king Valley for generations – Prosecco, Pinot Grigio Arneis, Sangiovese and Nebbiolo. There will be rural pursuits for the children, too - nursery farm animals for petting, and a hay bale maze. 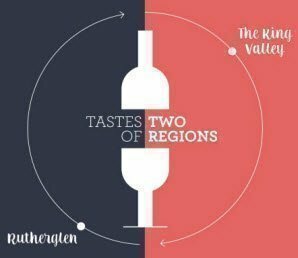 Experience a taste of King Valley, home of Italian wine styles. Tickets $85 per adult, including 4 course feast and wine. Children play and eat free. Unfortunately, as this is a shared lunch, dietary requirements cannot be accommodated. We will be able to point out ingredients in all dishes. Children are free – please register for catering and space requirements.